This craft evolved from my initial concept. 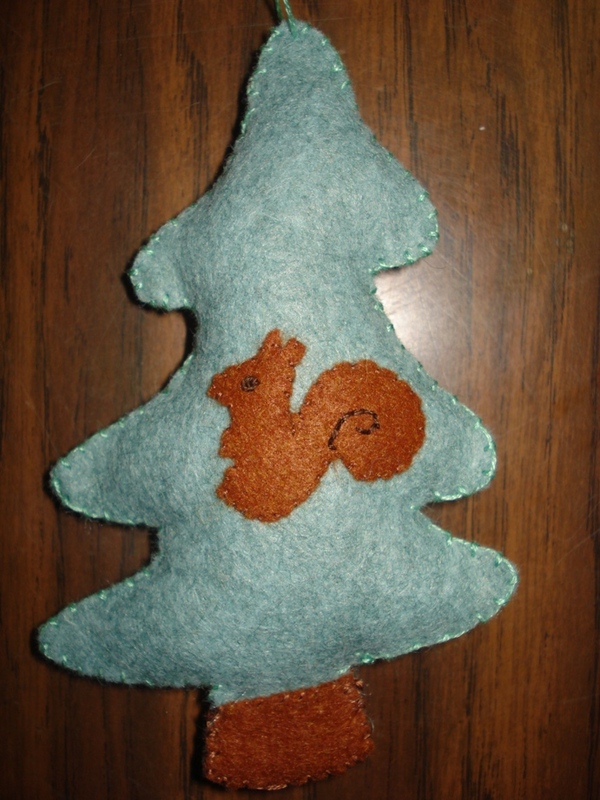 My original plan was to embroider on felt to make Christmas ornaments. 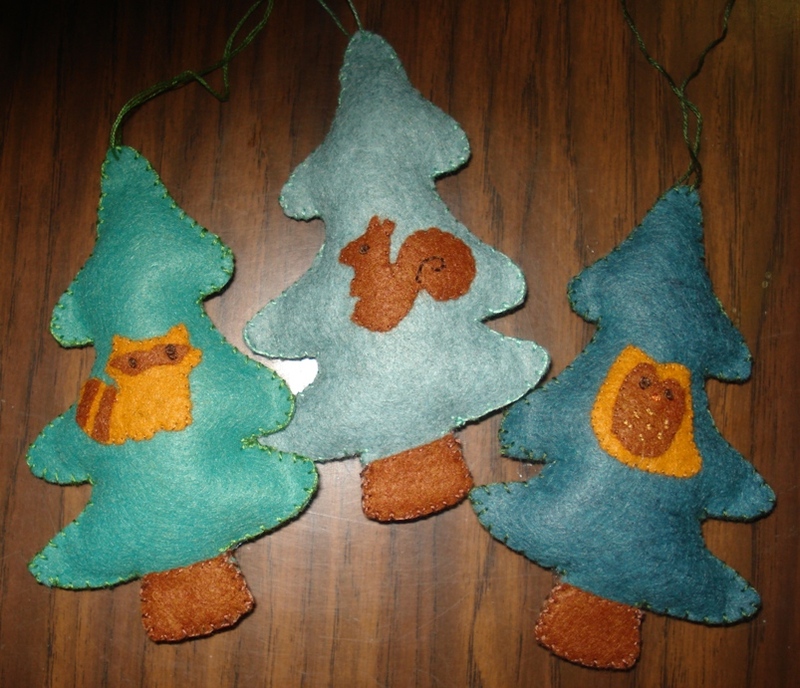 Last year I appliqued and embroidered three felt ornaments. 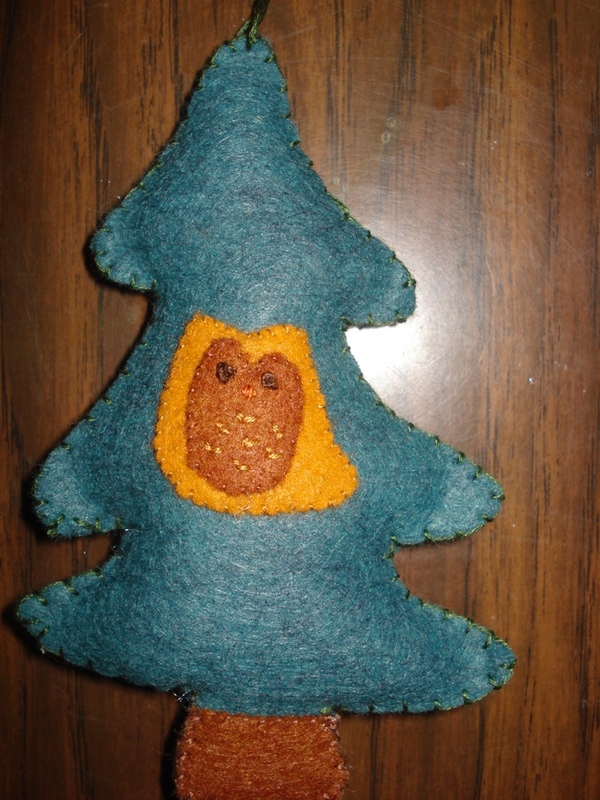 I wanted to make three coordinating felt ornaments this year with an embroidery emphasis. My original concept failed. I ended up using applique with a small bit of embroidery. But I am happy with the result. For this project I used patterns from Aimee Ray’s “Doodle Stitching: The Motif Collection”. 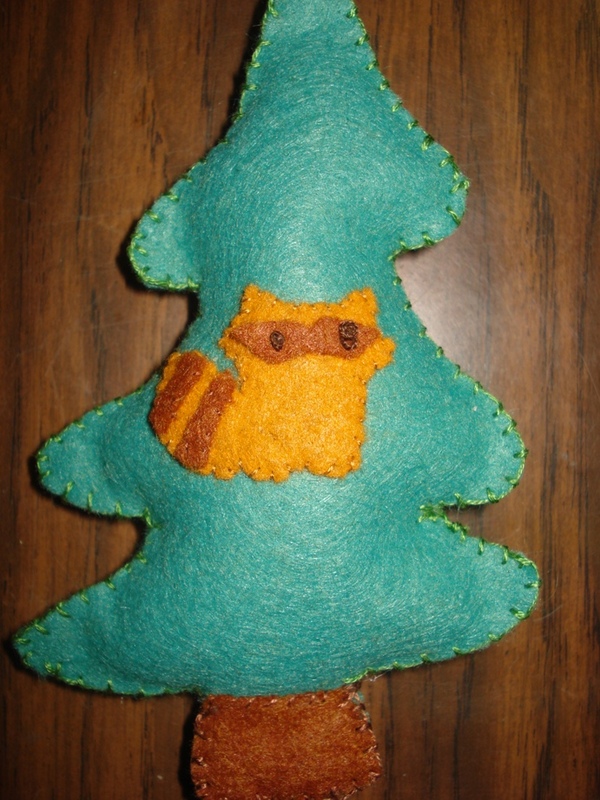 The owl (#423), raccoon (#425), and squirrel (#428) are from page 121. The tree (#435) is from page 122. I loved that the book has a CD with images. I changed the image sizes to fit my project. 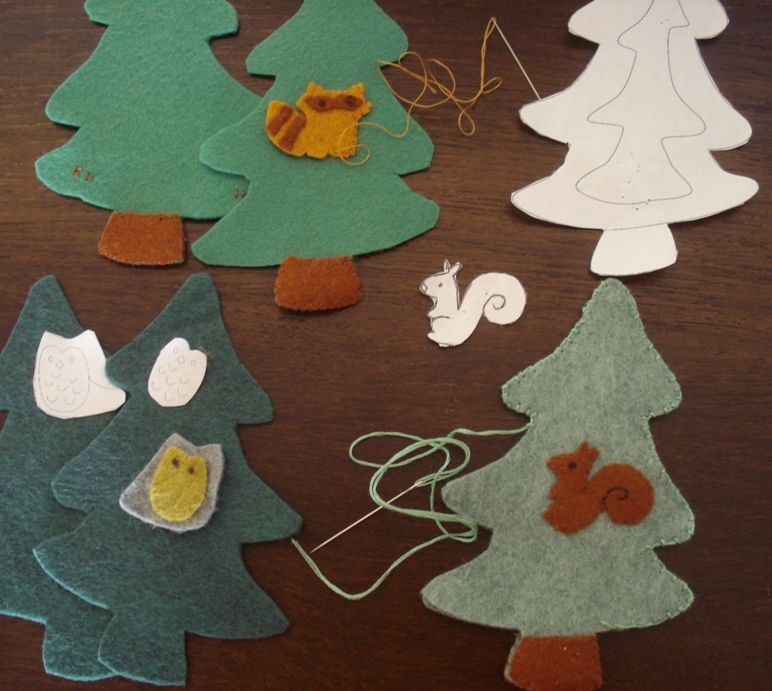 Then I printed the images and used them as templates for the felt applique. I tried to embroider directly on felt. It is difficult to transfer patterns on felt. I wanted to use the tissue paper technique but I am currently roughing it craft wise in NYC without my stocked craft room. 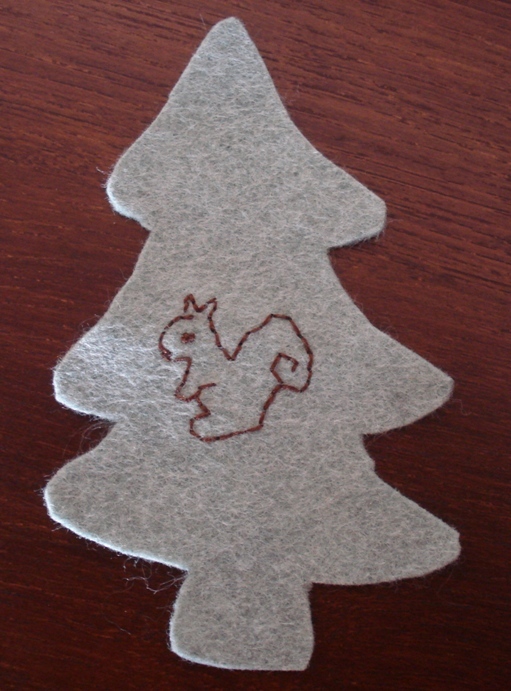 I ended up stitching the squirrel freehand while looking at the image. I did not like the result. This entry was posted in Crafts, Embroidery. Bookmark the permalink. The raccoon is too cute!